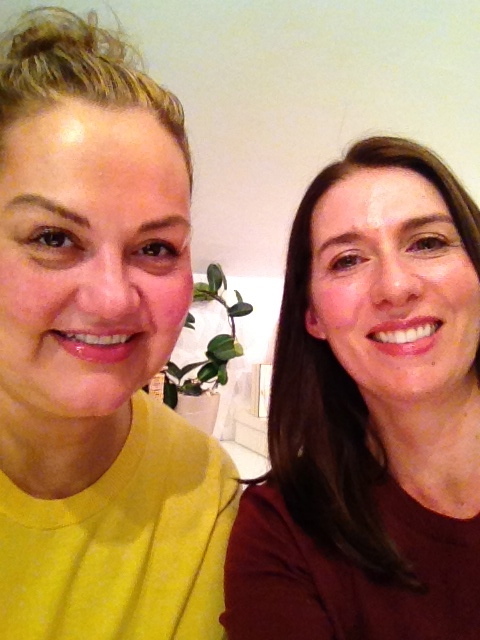 Last week I met with the Caroline Hirons, UK skincare guru and all round lovely person, for a skin consultation. In Sydney I see Amy Erbacher who is amazing ... but Sydney is a long way from London which makes keeping stock of my current skincare products by Aspect a bit of a logistical nightmare. Having been an avid reader of Caroline's blog (which you can see here), I was keen to share with her my skincare woes and to see if she could tweak my regime and recommend products that are more accessible now that i'm based in London. Caroline consults from a lovely office just off Westbourne Grove. Be warned shopping friends, this neighbourhood is dangerous. I may or may not have taken advantage of the Claudie Pierlot half price sale that was taking place across the road! Caroline in real life was a lot of fun. She even obliged me with a selfie! She also has amazing skin as you would expect and she knows her products like the back of her hand. She was able to asses my skin issues and recommend affordable and attainable alternatives. My hormones have been through the wringer over the years due to several rounds of fertility treatment, and there is evidence of it on my skin. Caroline was able to go through the extensive list of products that I own and help whittle it down to what my skin really needs in this climate. She recommended products at several different price points and I really got the feel that her extensive knowledge meant she could confidently cherry-pick the best of what is out there. 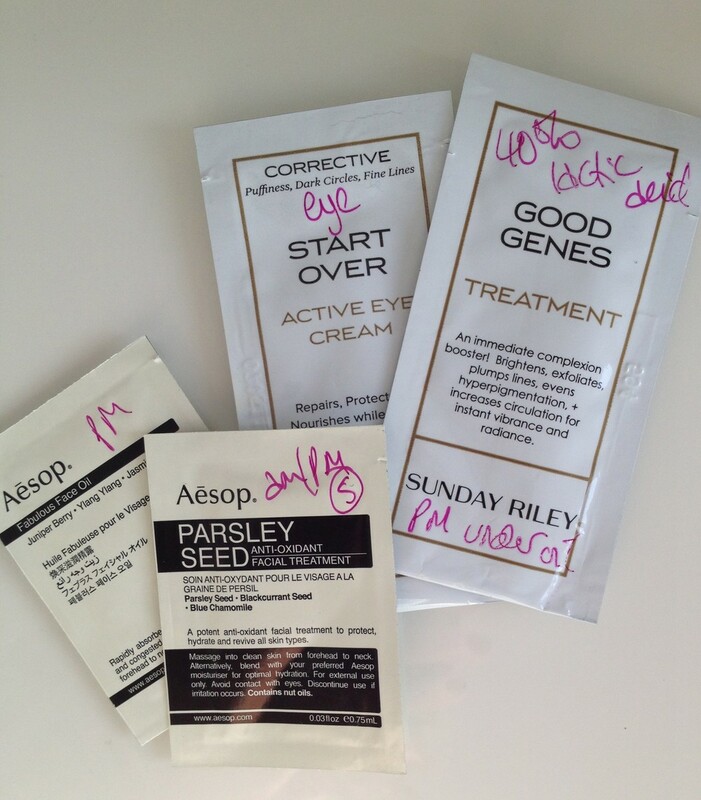 The samples - I am totally in love with the Aesop Fabulous Face Oil already! One key message that came across was - don't buy your skincare from a makeup brand and don't buy your makeup from a skincare brand. This makes sense and I should really have known this already. Another interesting point was the issue of SPF and vitamin D deficiencies - while you obviously still need to use an SPF in the UK, I don't need to be quite as strict on it as I have been. I also discovered that the eye cream Eyesilix from Indeed Labs is not suitable for those in my age bracket. Following my consultation I have picked up a couple of new products to work in with what I already have - the RMS Coconut Cream cleansing balm, the Ole Henriksen Truth Is In The Eyes peel and the REN Omega 3 serum. I will also be buying myself a few new face flannels to use in my cleansing regime. Meeting with Caroline is not as hard as you may think, just go to her website and request an appointment (here). It may take a little while to get seen, but the wait times were not ridiculous when I booked. And if you are based in Sydney, go and see Amy (contact details here), she is brilliant.